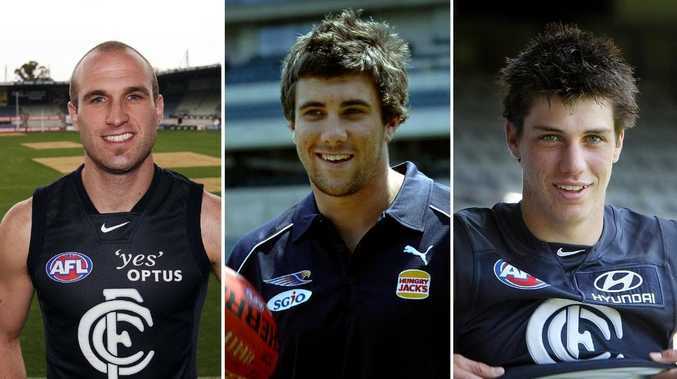 The infamous 2007 trade: Chris Judd, Josh Kennedy and Matthew Kreuzer. The man at Carlton who co-ordinated the famous Chris Judd-Josh Kennedy deal almost 12 years ago has admitted his club made a massive clanger at the trade table, declaring the Blues should have given up Pick 1 instead of Kennedy. The comments from former Carlton football boss Steven Icke comes on the eve of Kennedy's first match of the season, which will be his 200th AFL game. Drafted by the Blues with Pick 4 in the 2005 draft, Kennedy played 22 games for Carlton before he was thrown into one of the league's biggest ever trades. With Judd - the Eagles' 2006 premiership captain and arguably the AFL's best player at the time - keen to return to Victoria, West Coast wanted Picks 1 and 3 from Carlton as part of the deal - a deal the Blues refused to do. Instead, the Eagles settled on Picks 3, 20 and a raw young forward (Kennedy) in exchange for Judd and Pick 46. Eleven seasons later and Kennedy has kicked more goals than any other Eagle to go with a CV that includes a premiership medallion, two Coleman medals and three All-Australian team selections. Josh Kennedy was one of the Blues’ bright young talents. Meanwhile, the Blues used Pick 1 to draft ruckman Matthew Kreuzer, who's consistently struggled with injuries to the point where he's only played one full AFL season (2009). Icke, with the benefit of hindsight, said the Blues would've done the 2007 deal differently. "Kreuzer, while he's been a very good player, has been somewhat injury-prone and Josh Kennedy has gone over there and been unbelievable," Icke told The West Australian. "You'd look back and most people would say if you had to deal again, knowing what you now know, you'd probably give up Pick 1 and have kept Kennedy. It was almost unheard of to trade out Pick 1. "People still say to me that I was the person who traded in Chris Judd. "I say that it's great to talk about what you traded in but what we gave away for him was really significant." Chris Judd joined the Blues at the end of 2007. Kennedy will return to the Eagles' line-up for his first game of 2019 after a disrupted pre-season, which saw him undergo shoulder surgery and suffer a foot injury. Earlier this month, several AFL leaders told foxfooty.com.au that Kennedy was the player most likely to kick 100 goals in a season. Icke said it was a tough decision for Carlton at the time to let go of Kennedy, who was widely loved at the club "because he was such a quality human being". 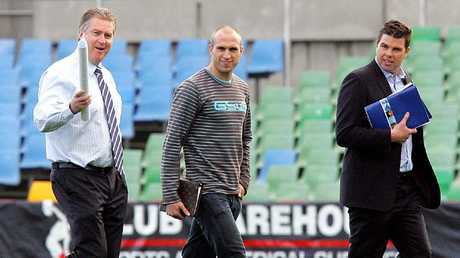 "We traded out a person who was well entrenched and loved the club," Icke said. "When you build a club culture, you build it around people like Josh Kennedy. But we were talking about Chris Judd who, at the time, was the best player in the competition. "I don't think anyone could question the contribution Chris Judd made to Carlton in the time he was there. "But you knew you were giving up a very special player to get him there."